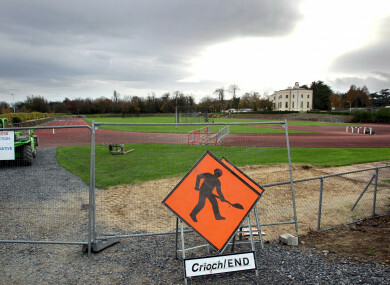 The original UCD track was closed down in 2011. ALMOST SEVEN YEARS after the original University College Dublin (UCD) running track was closed and ripped up due to ‘health and safety concerns’, an anonymous donor has stepped in to fund the installation of a new track-and-field facility. The project will cost an estimated €3 million and will be entirely financed by the unnamed benefactor, with the track’s maintenance for the next two decades also covered. It won’t, however, be situated on the original site — closed down abruptly in 2011, to be replaced by a car park — but located in the campus’ sports and recreation area, near the Clonskeagh Road entrance, alongside the existing sports centre, student centre, national hockey stadium and UCD Bowl. UCD president, Professor Andrew Deeks, welcomed the generous donation, adding that a key feature of a successful university campus is the availability of world-class sporting and recreation facilities. “With the support of a major philanthropic donation, the University is proud to announce that it is now able to move forward with the design, planning and development of a new athletics track on the Belfield campus,” he said. Work is due to commence as soon as possible, although UCD have not provided a timeline for completion. Email “Anonymous donor steps in to fund new €3 million UCD running track”. Feedback on “Anonymous donor steps in to fund new €3 million UCD running track”.